One day, your fitness tracker will start vibrating, and you'll look down to read a message: "Your arrhythmia is getting worse. Time to see your doctor". You book an appointment, and when you turn up all of the data from your device is already on your cardiologist's screen ready to be assessed. Granted, it's not a place any of us want to find ourselves, but should we be faced with any health-threatening condition, having technology that can both detect risks and be of help to doctors would be immeasurably valuable. Jump back to today: our fitness trackers are getting better at measuring our biometrics more accurately over longer periods of time, but when it comes to booking that appointment with the doctor, it feels like most of this data stops being of use. Steve Steinhubl, Director of Digital Medicine at STSI and a cardiologist at Scripps Health, says that right now, taking the data many trackers provide is "unroutine" for the healthcare industry. "Even before the Fitbits were available, very few doctors asked about people's activity levels and what they were doing," he says. "Accuracy isn't as much of an issue. It's because it's outside of regular practice. And we have a fitness care system, so most physicians don't want to do it." For the vast majority of doctors, many of the things our wearables can detect right now are not hugely helpful, but as these devices start tracking more, and if the healthcare system starts to understand and accommodate this data better, there's the potential to revolutionise the way patients and doctors interact. For now, going to your doctor and showing how many steps you've achieved for the week will probably yield little more than a shrug of the shoulders. Yes, it's no medical secret that more movement is better for you than less, but until the proper variable baseline studies exist for step counting, you doctor isn't going to find many answers in your Fitbit data. Dr Jeffrey Olgin, MD Chief of the Division of Cardiology, University of California, believes there is some use in steps for doctors, but calls it "marginal" for now. "It doesn't get at the root cause at a lot of the problems, which is motivation. Monitoring is only part of the picture." 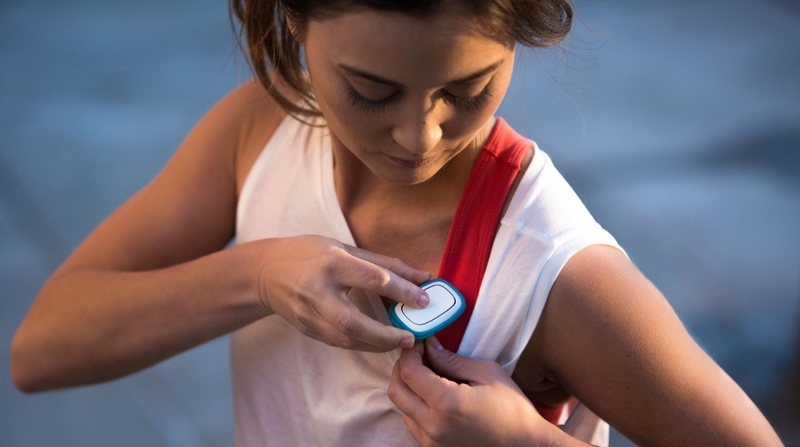 "The problem is that people who aren't active don't wear their accelerometers. The classic example is when you ask people to lose weight, the best way to get them to lose weight is to weigh themselves every morning. If you've had a really bad week where you've eaten a load of stuff and lot of dessert, you don't weight yourself. The week where you do a lot of exercise and you only had one meal a day, those are the weeks you weigh yourself." Doctors haven't gone to medical school to learn what to do with 10,000 steps a day, and in fact the 10,000-step goal is simply a nice rounded number set by early Japanese pedometers; it's certainly not WHO advice. "If I talk all my patients that only walk 3,000 steps a day and got them to walk 10k steps a day, I'm sure they'd be healthier in the long run from a cardiovascular standpoint," says Dr Steinhubl. "But it's the gap of going from one to the other. How do I get there? How do I track it?" One measurement that keeps coming up with doctors we speak to is blood pressure. "The number one contributor to mortality is blood pressure," says Steinhubl. "We've been able to measure it for 120 years, but it's still a major contributor worldwide." "If you take a blood pressure test and you've got hypertension, it's really useful to see those numbers. And there are systems coming into play where those can get into the workflow. I would say that's one of those things I review regularly with patients when they come in; they show me their blood pressure trends. Blood pressure is super useful and we need to work out how to get those things into the workflow of healthcare." Ideally, technology would provides actionable information for both you and a healthcare system, without you needing to think about it the rest of the time it's on your body. That said, even the best continuous blood pressure wearable in the world is going to make little impact if the healthcare system isn't in place to take that data and provide a solution. A recent study carried out at Stanford University showed that wearables tracking metrics like heart rate and skin temperature can predict oncoming illness by picking up early signs. While exciting, it will be some time before these systems can be proved to be fully reliable - after all, false alarms would end up being more costly on patients and doctors. Furthermore, as Dr Olsen points out, "The question is whether that parameter alone is enough to intervene on, and what would you intervene with?" But there is potential for where this could be helpful. Take influenza, for example, for which drugs need to be administered within 48 hours of symptoms starting to have optimal effect. "Lots of people get really sick with that, so if we could pick up the symptoms earlier then we could start treatment a lot earlier," Dr Vernon Smith, MD, tells us. Smith sees a lot of potential in wearable hydration trackers. "I haven't seen the science behind it to know how accurate it is, but that shows a lot of promise because a lot of complications, particularly from childhood illness, come from dehydration," he says. Having an accurate reading of someone's hydration levels over a period of time would provide information doctors could really use. "The primary wearable I see now that has real usage is the cardiac monitors," says Dr Smith. He also sees real usage in cardiac wearables like Holter monitors, which provide continuous EKG for a patient over the course of a couple of days. "The problem with the Holter is its one really big and difficult to wear and two it relly only lasts 42 to 78 hours timeframe, and we're trying to catch what you're doing. You're probably not going about your activities you normally would." But it does capture heart rhythm information that doctors know what to do with right now, says Smith, who also mentions the iRhythm Zio, a wearable patch that records your cardiac rhythm and lasts for two continuous weeks, while letting you go about your daily activities as normal. "That's actually showed a lot of promise". Many of the metrics wearables can provide are ones that haven't been monitored over long-term stretches before, and there would need to be an understanding of the variability in healthy and unhealthy people before predictions could be made. Showing your doctor your week's heart rate data will be unhelpful in most scenarios, but there are some physiological parameters doctors understand well enough that would be useful if they were able to be tracked accurately and continuously, including "all the trappings" of heart rate, according to Dr Olgin. "So an EKG that would tell you the rhythm, what the heart rate variability is, what the heart rate response to exercise and stress is; how quickly your heart rate and rhythm return to normal after exercise. "A non-invasive way to measure cardiac output in real time and continuously would be highly valuable too, as would a measure of vascular health that's meaningful and actionable." And then there's stress, something that some wearable manufacturers are starting to look more carefully at. Being able to get an accurate measurement of physical and emotional stress over prolonged periods, along with accurate diet activity - another realm wearables are edging further into - would be beneficial also. In order much of this data to start making sense for doctors a lot of things have to change, but whether it will come from tech companies or the industry itself is as yet untold. "I'd like to think it will be a combo," says Dr Steinhubl. "The tech is already further ahead than the healthcare systems, so it's doing things already that these systems aren't able to take advantage of." But he's also hopeful that in the near future there will be less of a distinction between medical-grade sensors and consumer wearables. And in the American healthcare system, in particular, there needs to be improvements in the flow of data between patients and doctors. Everyone who spoke to use for this piece brought that up as a significant obstacle in technology's place. This is the result of a history of competition: one US health care provider is not going to make it easy for patients to move to another. "There's a financial disincentive to make the health care records to communicate with each other," says Steinhubl. But if every patient had full access to their electronic health record on their smartphone, they could more easily shop for doctors. It's a system ripe for disruption on more than one way. "These systems are expensive, they don't meet the needs of what people want," says Steinhubl. "They're not really preventing illness, they're there to treat sickness." It's likely, therefore, that change will be enacted from the outside. Right now Apple is building a health infrastructure around its technology that wants to be a go-between between you and your doctor; but the healthcare industry could just as easily be transformed by someone like Amazon or Wallgreen's. But it's also about steering a very curative health care system to a preventative one, and that's where wearable technology has the potential to transform the entire industry. It seems like it's only a matter of time.